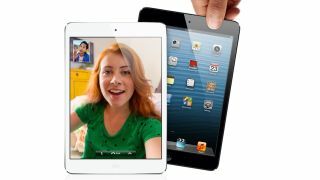 Twitter was full of wrong yesterday: to mark the third anniversary of the iPad going on sale, pundits reposted their initial impressions of what The Register calls Apple's "fondleslab", a cavalcade of "big iPod"s and "nothing special"s.
AAPLinvestors.com published a particularly big list, including such gems as "Failure, joke or fiasco? Pick one", "800 people are going to buy the iPad" and "Apple may have lost its mojo". We weren't among the doomsayers - in 2010 we said that "it's much more revolutionary than it looks" and predicted that the iPad would transform magazines, that the real fun would happen when app developers got to play with it and that it would be widely copied - but we didn't expect it to do so much so quickly. Yesterday we celebrated 40 years of the mobile phone. Smartphones are the fastest-spreading technology the world has ever seen, but their offspring - tablets - are catching up fast. If predictions by industry watchers IDC are correct, by the time the iPad is five tablets will outsell PCs. That's desktops and laptops combined. Tablets aren't just a success story for Apple. They're a success story for Android too. By 2017, unless Microsoft does something extraordinary, Android shipments will be more than Windows PCs and phones combined. What makes tablets so good, of course, is their simplicity. Give a non-geeky relative a PC and they'll be nagging you for tech support all the time. Give them a tablet and your phone will never ring. Tablets get out of the way, turning themselves into whatever's best for the task - so they transform themselves into guitars, or recording studios, or newspapers, or photo galleries, or games consoles. The learning curve could hardly get any flatter. Fraser Speirs is one of the people who got it right back in 2010: "The Real Work is not formatting the margins, installing the printer driver, uploading the document, finishing the PowerPoint slides, running the software update or reinstalling the OS. The Real Work is teaching the child, healing the patient, selling the house, logging the road defects, fixing the car at the roadside, capturing the table's order, designing the house and organising the party." That's what makes tablets so important: they get out of the way and let you get on with the real work. They're not perfect yet - we have our own opinions of how Apple could improve iOS and Google improve Android, and we're sure you do too - but come on. They're only three.